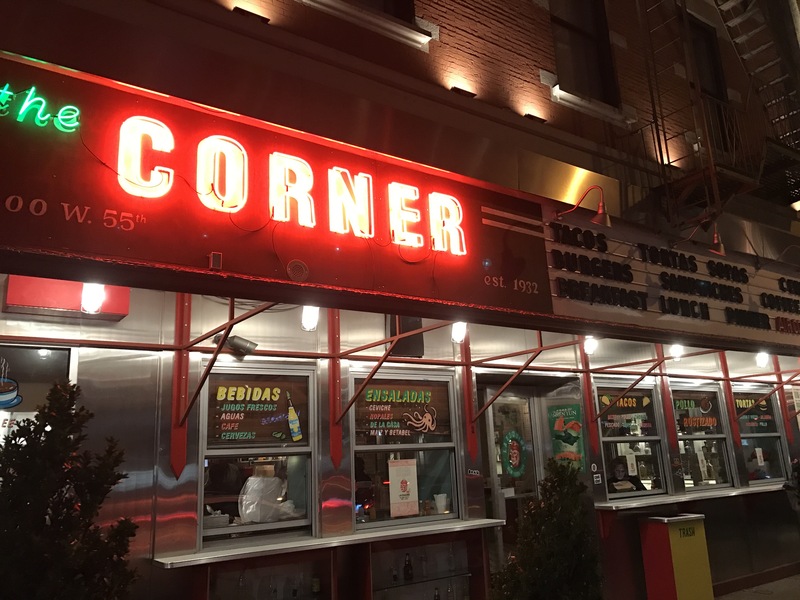 La Esquina have opened a new midtown location, La Esquina Tacqueria. 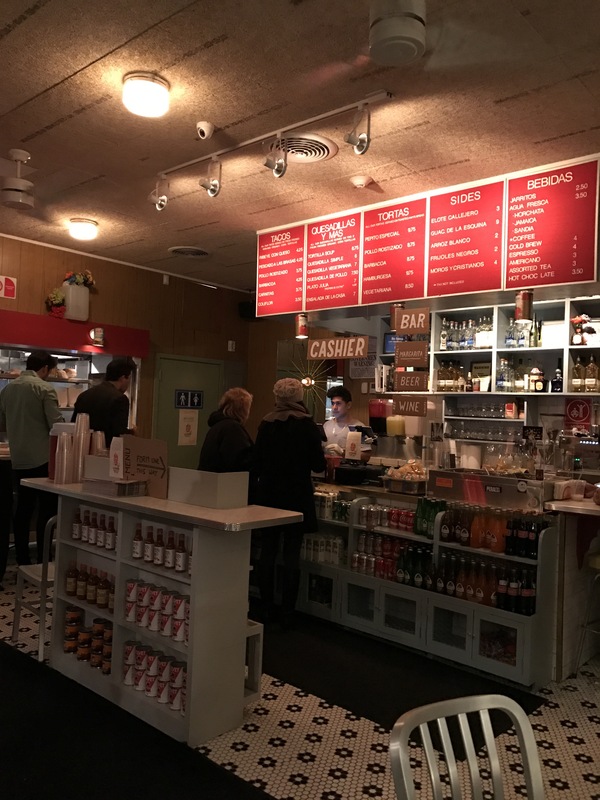 It’s a casual, cheap and easy Mexican diner in the heart of Midtown. Place your order, pay and pick it up at the counter. Take in the eclectic little space and people watch as New Yorkers head out on the town outside. 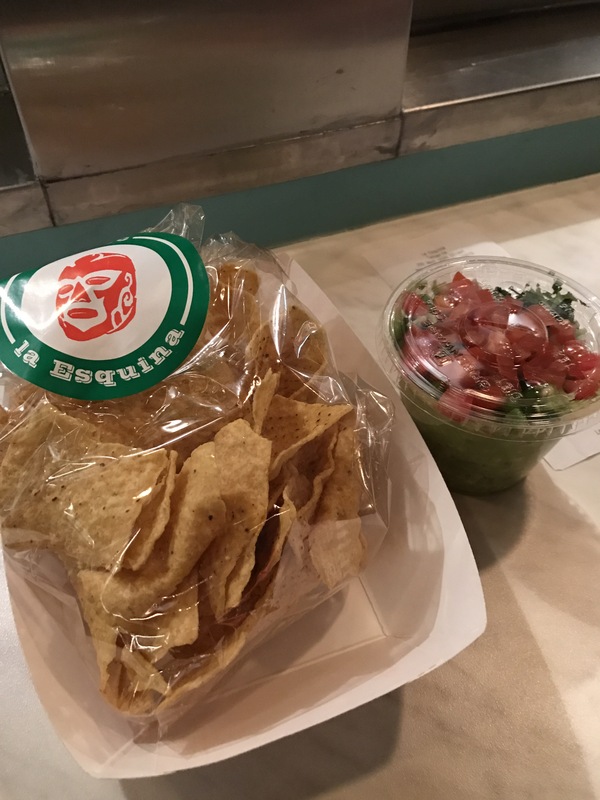 We started our meal at La Esquina with a guacamole and corn chips. The chips were pre-packaged, initially off putting but actually very fresh. The guacamole had basic flavours but was fresh and nicely done. 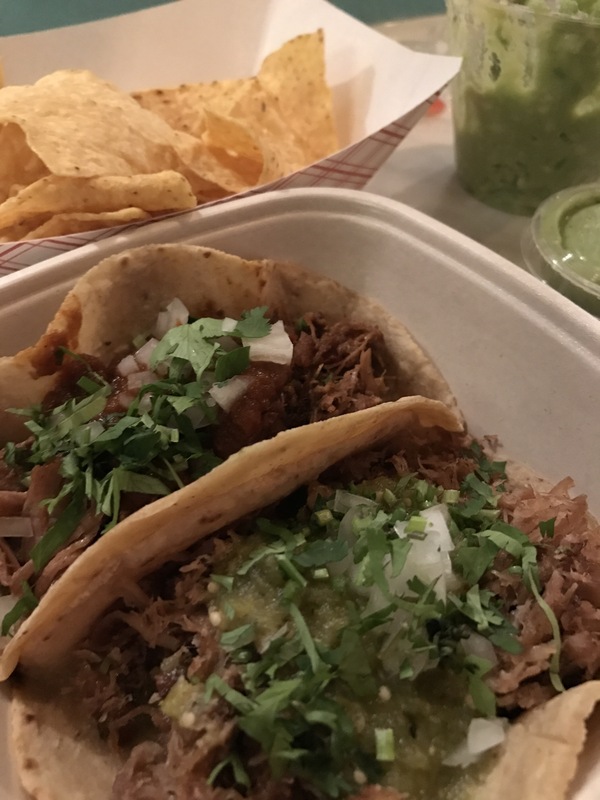 We order a pork taco and a beef taco for our main meals. The pork was fruity, moist and light, while the beef had a more intense flavour with a hit of spice. The salsa too was simple but nicely seasoned. This was authentic, easy and tasty street food. 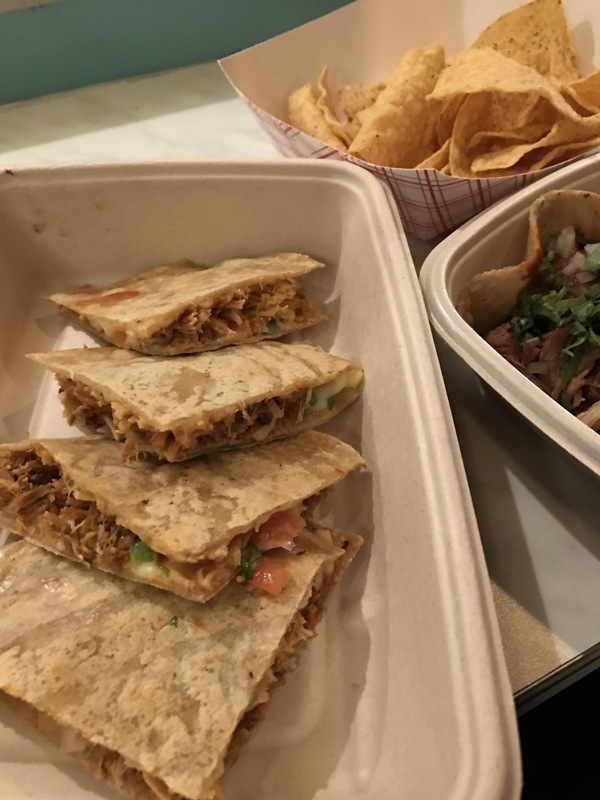 Finally we tried the chicken quesadilla with a tomatillo salsa. It was cheesy and warming, lightly spiced and best with the sweetness of the salsa. 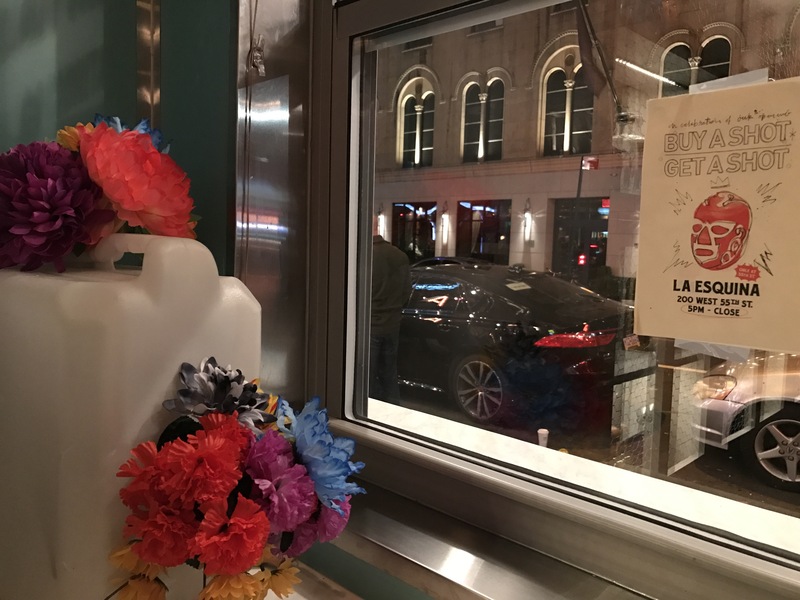 We really enjoyed our visit to La Esquina, this was quick, easy and tasty food with no fuss and conveniently close to our hotel in Midtown!